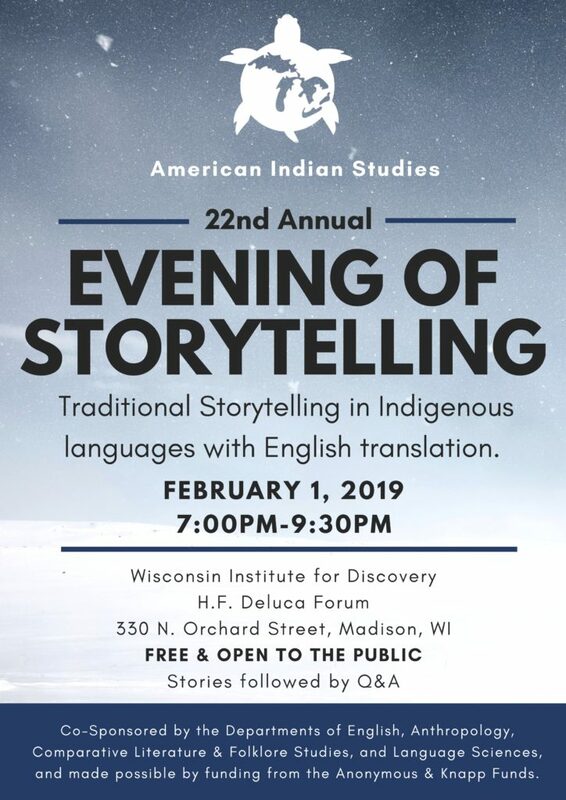 Join American Indian Studies for the 22nd Annual Evening of Storytelling on Friday, February 1, 2019, from 7:00pm-9: 30pm. This year’s event will feature Storytellers: Jerry Dearly (Lakota), Patricia Ningewance (Ojibwe), and Brian McInnes (Ojibwe). 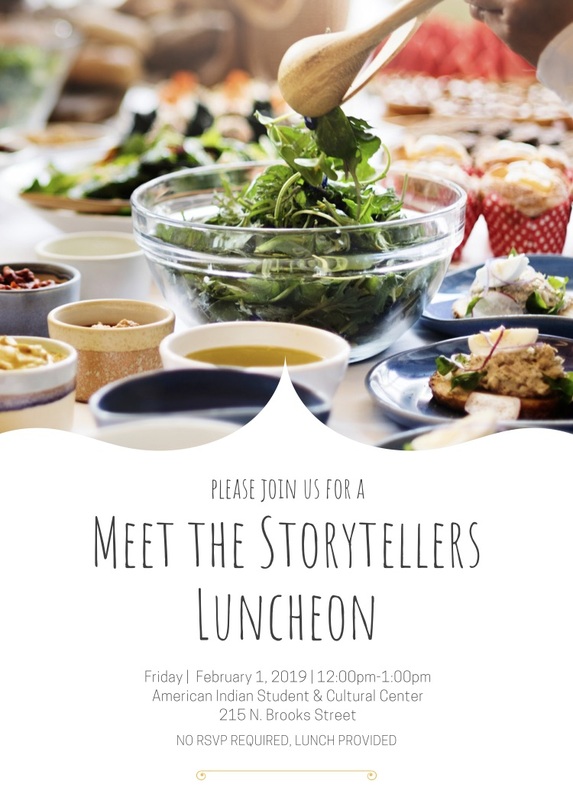 Please also join us for a Meet the Storytellers Luncheon earlier in the day: Friday, February 1, at 12 pm at the American Indian Student and Cultural Center, 215 N. Brooks Street.